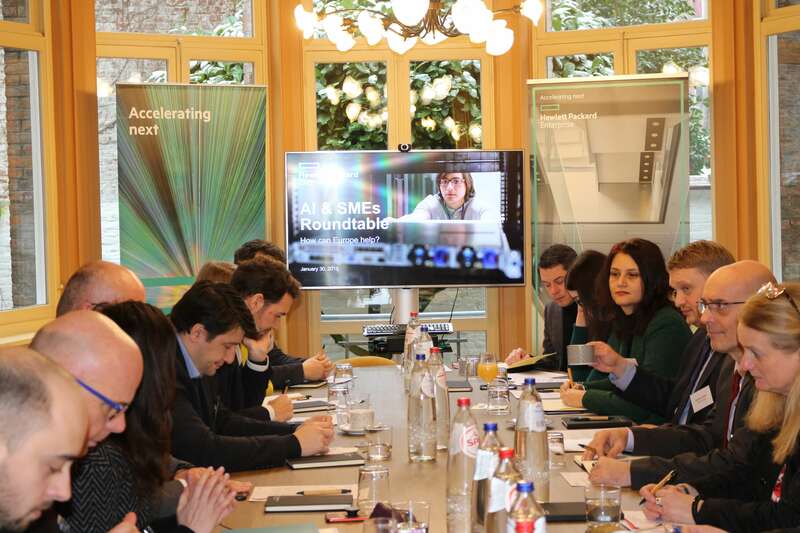 In January 2019, NOVE organised two roundtable discussions to help its client Hewlett Packard Enterprise (HPE) debate the EU’s support for emerging technologies. The “Digital Infrastructure Debate” on January 9 2019 gathered stakeholders over breakfast to discuss the EU’s funding ambition. Khalil Rouhana, Deputy Director General of the European Commission’s DG Connect, the EIB’s Shiva Dustdar, Head of Innovation Finance Advisory, nine representatives from Member States and HPE’s EMEA Lead on High Performance Computing (HPC) and AI joined the event. Participants discussed the Commission’s plans for a €9.2bn “Digital Europe” programme and the funding obstacles to deploying High Performance Computing in Europe. The Romanian Deputy Permanent Representative closed the discussion with a video message on the priorities of the Romanian Presidency on digital infrastructure. NOVE then organised HPE’s “AI-SMEs roundtable” on January 30 welcoming officials from the Commission, Member States, SME associations and start-ups out of the freezing cold and into the plush warm interiors of the Hotel Tassel to share ideas on how the EU can help SMEs scale their AI solutions. Access to data and talent were cited as the biggest obstacles for small companies in Europe, while considerable progress has been made on data storage thanks in part to the EU’s Free Flow of Data Initiative.